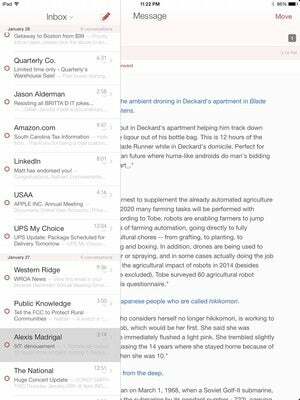 Popular email client Mail Pilot treats each message as a task to be checked off your to-do list. 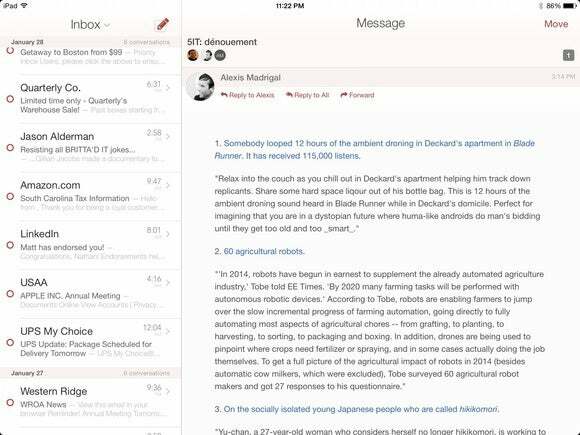 Mail Pilot 2, launching Thursday for iPhone and iPad, aims to further increase your productivity with a radically redesigned interface. But in the version we tested, several lingering rough edges work against those ambitions. Mail Pilot 2 ditches its predecessor’s abundant icons for quick gestures. Swipe left, or tap the check button, to mark a message as completed. Swipe right to save it for later, using the length of your swipe to control how many days it’ll be postponed. Tap and hold to delete, complete, postpone, or organize a message by flicking it toward one of the four sides of the screen. I found the new interface useful and intuitive, and appreciated the friendly tutorials that pop up the first time you encounter any new part of the app. Mail Pilot 2’s spartan new interface trades gaggles of icons for easy-to-master gesture controls, like swiping right to determine how long you want to put off a particular message. The only icon visible from the main screen lets you compose new messages. The others are hidden away in a Move menu accessible from individual messages. This striking diagonal display includes an option to create custom lists for filing your mail. 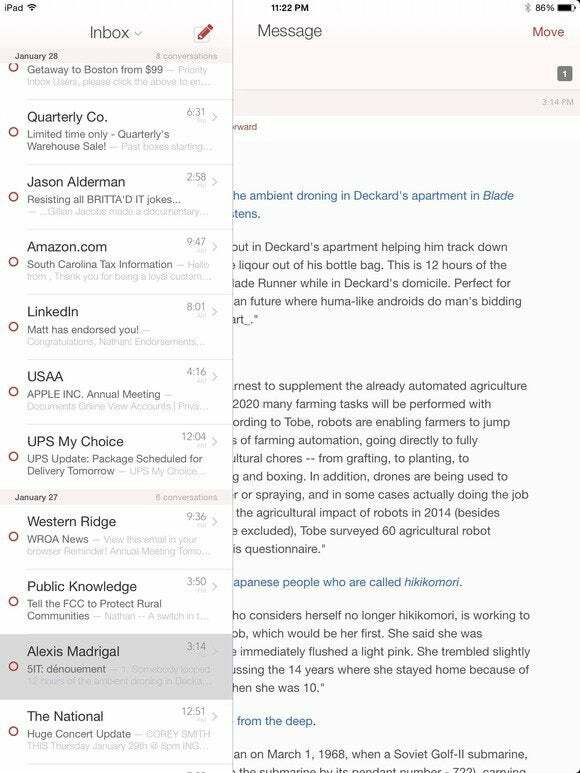 There’s no automated filter to handle sorting; Mail Pilot wants you to acknowledge and act on every new message. 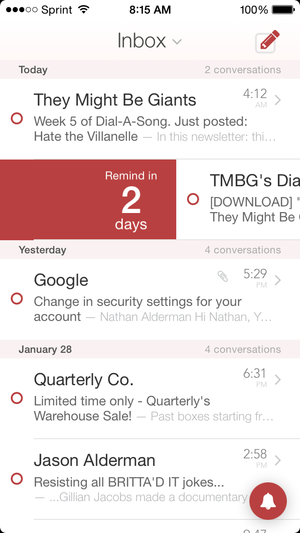 Swipe down from the top of the screen to see all your mailboxes, including completed or postponed mail. That proves useful if you start swiping overzealously and misplace messages, like I did. You can also search from here, with fast, accurate results, or adjust accounts, interface colors, and more in Mail Pilot 2’s settings. iCloud integration can pull in attachments from other apps, and syncs Mail Pilot 2’s settings on devices using the same Apple ID. As much as I liked Mail Pilot 2’s ideas, its execution often fell short in my tests. Even on an iPad, and especially on an iPhone, it’s too easy to trigger iOS’s Dashboard when you’re trying to swipe down and see your mailboxes and settings. 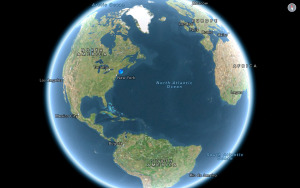 … while horizontal mode provides a much clearer view. In addition, some swipe gestures make more sense than others. On the iPhone, swiping right on an individual message from the left of the screen returns you to the message list; doing so from the center displays the previous message in your list. On the iPad, message previews initially appear half-hidden behind the list in vertical orientation, leaving you trying to decipher half a message. You can tap the preview to see the whole thing, or turn the iPad horizontally for a full view. Mail Pilot 2’s iCloud syncing is fairly quick, but not instantaneous. It sometimes takes a short while, or even quitting and reopening the app, to see newly created lists or find recategorized messages in their proper places. 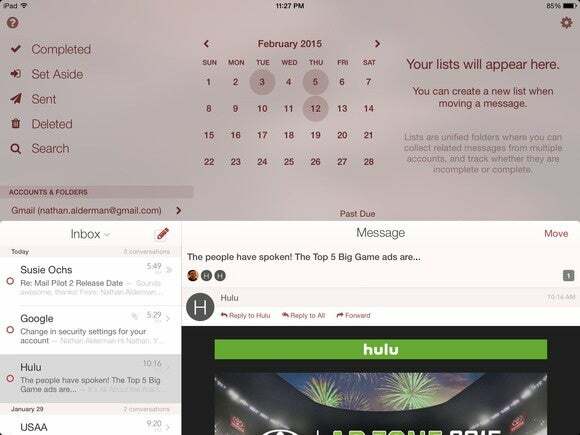 Swiping down from the top of the screen reveals other mailboxes, settings, reminders, and lists. Also, when reading threaded messages on both iPhone and iPad, vertical scrolling got visibly stiff and juddery until the header for the thread scrolled out of view. Mindsense says it’s aware of all these bugs, and intends to squash them in Mail Pilot 2’s first update, due two weeks after its debut. Mail Pilot 2 looks sharp and brims with great ideas for managing your email. Like its Mac version, the app seems to have arrived without a few finishing touches—and once those fixes get made, it should become well worth owning for task-oriented users eager to tame their inboxes. 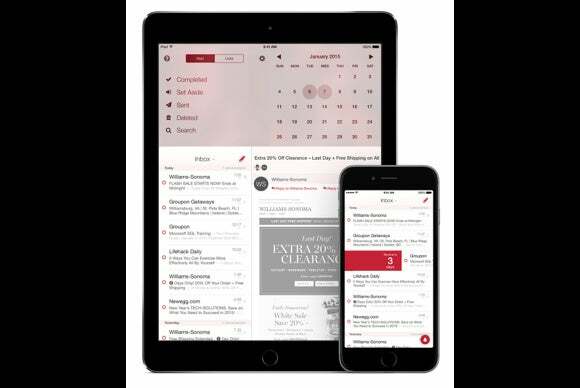 Mail Pilot 2 adds a smart, gesture-based new interface to its innovative task-based approach to email. The version we tested had a few notable bugs, although they should be fixed soon. Impressive, clutter-cutting interface redesign with sharp visuals.